Shawn Paul Salon, a Cleveland Heights OH hair and nail salon is the top hair studio in Cleveland Heights. Offering a complete range of services designed to pamper your hair, nail and body. We started by outlining an information architecture based on the new revenue model for the Salon. We then developed a responsive website so that the new website responds to the user’s screen size, platform and orientation. This eliminated the need for a mobile website and allows to the Salon to serve a consistent brand experience across multiple devices. 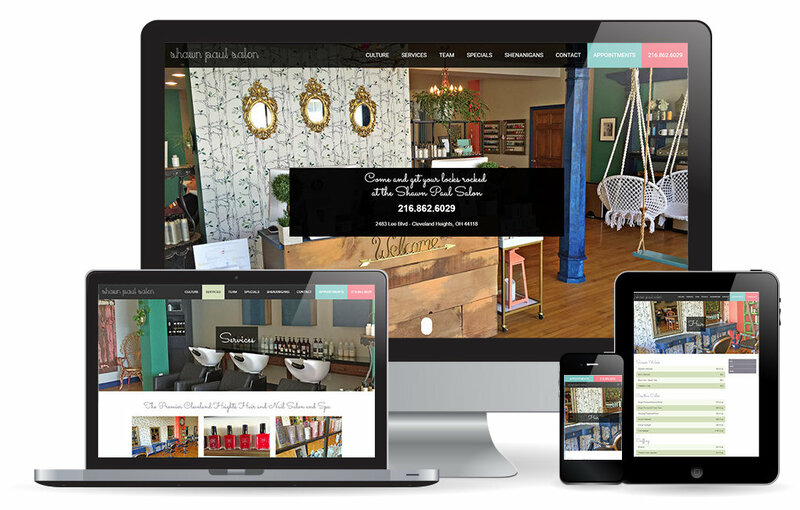 Many of the Salon’s clients access the website from mobile devices and it was critical that accommodate their needs. The new design utilized photography and colors to help match the look of the website to the true Salon experience. We also implemented a Search Engine Optimization strategy that helped place the Shawn Paul Salon at the top of the search engine result pages for the various identified keywords and phrases. This new strategy continues to generate revenue on an ongoing basis.